Home > Blog > Types of Car Speakers: Which is the Best? In a car stereo system, one of the most important components is the speaker. 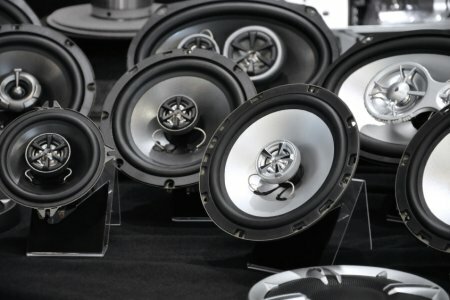 With such, there is no wonder why many audiophiles invest in high-performing car speakers, which are anticipated to deliver clear and crisp sound. However, the options can be endless, and hence, this may make it more challenging for you to come up with the right decision. The first thing that you have to do is to choose which type of car speakers will be used. Generally speaking, you will have two choices – full-range and component speakers. A lot of people are clueless about which of this two can be the best choice. If you have no idea, keep on reading and we will provide you with insights on the characteristics of the car speakers. By the time that you are finished reading, you will find it easier to make a well-informed choice. These are also known as coaxial speakers. They are made of a single unit and this is the one that is responsible for the reproduction of sound. The drivers that are found here are essentially the same as the ones that you can find in the coaxial speakers. The main difference is that they are combined together, which leads into having a more affordable price. They were first introduced in the 1970s. Most of the OEM car stereos that are available in the market today makes use of this speaker configuration. If there is one reason why this is chosen by many, it would be the fact that it is more affordable compared to its counterpart. There is also a direct fit in audio systems. Therefore, you will be able to have it installed in a snap. You do not need to go to a mechanic to have it assembled. You can do so on your own by just following the comprehensive instructions provided by the manufacturer. Beyond these things, however, there are no significant benefits that can be enjoyed with the use of this type of speaker. One of the drawbacks of the full-range speakers is that it is designed only with a single driver. The end result is that the frequency will be from a single origin, and hence, negatively affecting the quality of sound. There are frequencies that can be lost in the process of being transmitted. The clarity and detail will definitely be suffering. This type of speaker have different components, which is why they are more complicated when compared with the coaxial speakers. Different frequencies are handled by different components. The low-range frequencies are handled by the woofer. They handle deep bass, which typically falls from 40 to 1,000 Hz. On the other hand, the high frequencies are handled by the tweeter. They handle the frequencies that are ranging from 2,000 to 20,000 Hz. Coincidentally, it is named after the high pitch that is produced by birds, which is why it can handle high frequencies as well. There is also a component that is intended to handle mid-frequencies, which typically range from 40 to 1,000 Hz. One of the best things about component speakers is that they are installed in separate parts of the car. They can be in the front and the back, depending on personal preferences. They make the sound fuller as they can surround the car. However, because they are also installed in different locations, they can be more complicated in terms of assembly. Many people may be unable to do it on their own, which is why working with an expert is highly recommended. While component speakers can lead into superior sound quality, one thing should be kept in mind – they are expensive. This is especially true if you choose high-end models that are produced by popular brands. Whatever you will spend, however, will surely be worth it. Car audio will never be the same with component speakers. If you have to choose one, without a doubt, it would be component speakers. Many audiophiles would definitely agree that this is the best car speakers if you want clear and crisp sound in your car. It can be more expensive, but if you see car speakers as an investment, you will definitely not regret having it picked above other models. It can also offer more customization, providing you with the opportunity to have it configured based on your personal preferences. In sum, cost alone should not be enough consideration in picking car speakers. You have to go beyond price. You have to think about the overall sound quality that it can produce, especially if you are discerning. If you want your car audio to have optimal performance and to offer a different kind of experience, choose component speakers. They may be costly, but they will surely be worth every dollar you will spend.